Talking Late Night with Max Kantor highlights comedians while focusing on their Late Night influences and artistic careers. 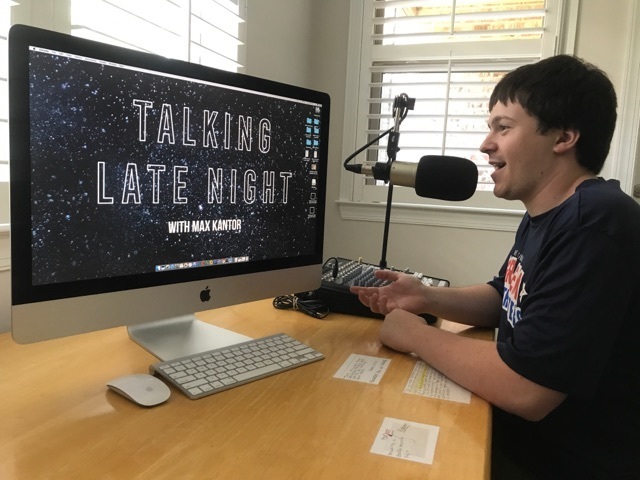 On this episode of Talking Late Night, Max talks with Curtis Retherford, an improviser with the Upright Citizens Brigade, an improv coach to multiple teams, and a writer for the Princeton Review's Test Preparation books. Curtis had a feeling that his life would focus on comedy when in the 4th grade he was named "Class Comedian." After graduating from Evergreen State College in 2003, Curtis moved to Seattle where he made doughnuts for Top Pot Doughnuts. Then, he moved to New York City where his comedy career really took off. Curtis currently performs improv with numerous groups, including Megaplex, at Upright Citizens Brigade Hell's Kitchen. He also is the host of his very own podcast entitled "Improv, Beat by Beat." Finally, Curtis is currently a writer for many of the Princeton Review's Test Preparation books. So odds are he helped you pass your SAT or ACT! Want to learn more about Curtis? Check out his website and be sure to follow him on Twitter! Thank you for tuning in! Be sure to like and share our Facebook page here, and also rate and leave us a review on iTunes! Copyright 2017 Max Kantor. All rights reserved.